Nissan European sales and marketing operations to Rolle in Switzerland in 2008. Now some staff are moving back to Paris. Hit by rising financial losses and falling vehicle sales, Nissan is reorganizing its European operations by cutting jobs and transferring staff to France from its regional headquarters in Switzerland. Nissan will reduce staffing at its European headquarters in Rolle, Switzerland, by 55 posts, a source close to the company said. Of those jobs, 20 will be transferred to Nissan offices in Paris while 38 posts are expected to be eliminated, the source said. Nissan did not comment on how many staff are affected by the reorganization. "The reason for moving is part of a wider transformation in the Nissan Europe organization aiming at improving and optimizing efficiency," Nissan said in a statement. The transformation will ensure a "sustainable future for our European operations," the automaker said. 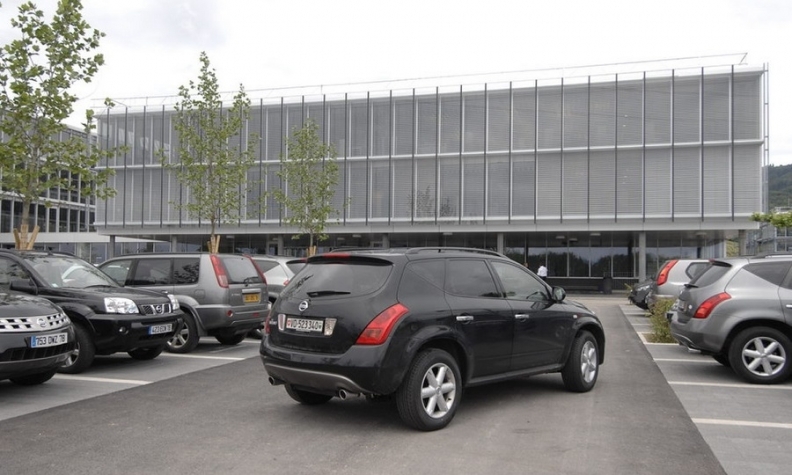 The Swiss office will remain the European headquarters for Nissan and its Infiniti premium brand. Nissan Europe Chairman Gianluca de Ficchy and other key senior managers will continue to be based in Rolle, Nissan said. The reorganization restores some of the importance that France had for Nissan in Europe until 10 years ago before the automaker transferred managers to Rolle in 2008 to place sales, marketing and manufacturing leadership under one roof. The company had established its regional base in Paris in 2001 to take advantage of alliance partner Renault’s knowledge of European markets, but moved to Switzerland after judging it had gained enough experience of its own. Nissan started moving jobs back to Paris from Rolle in 2016, partly to ensure that teams that had been split up by the Swiss move were back under one roof, the source said. Nissan’s European operating losses widened to 12.2 billion yen ($107.3 million) in its latest quarter from an operating loss of 2.5 billion yen ($22 million) the year before. Key products such as its Juke subcompact SUV are at the end of their product cycle, hitting sales. The automaker's European registrations fell 12 percent to 460,998 in the first 11 months, according to market researchers JATO Dynamics. Its top European seller, the Qashqai compact SUV, saw volume fall 5.6 percent to 217,762; sales of the No. 2, the Micra subcompact hatchback were down 11 percent to 71,785 and volume for the Juke dropped 25 percent to 64,014. Nissan has said it has had problems dealing with "strict environmental regulations," a reference to the September switchover in the EU to the WLTP emissions-testing regime. EDITORS NOTE: This article was amended to make it clear that the Nissan Europe chairman and other key managers will continue to be based in Rolle, Switzerland.